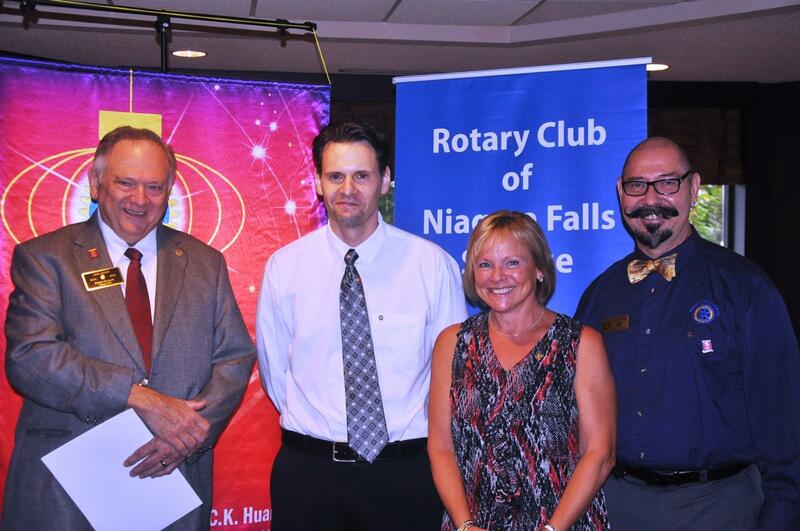 The end of August marks the one year anniversary of my joining the Rotary Club of Niagara Falls Sunrise. It has been one of the best decisions I could have made. This past year has been incredibly rewarding and educational experience for me. Before I became a Rotarian, I was sort of familiar with the club but knew very little about all of the amazing work that they do. (Below pictured: Sunrise Rotarians welcome me . Beside me is my sponsor Nancy Tkachuk. I was initiated into the club by District Governor Jack Amico and Club President Brian Kon). 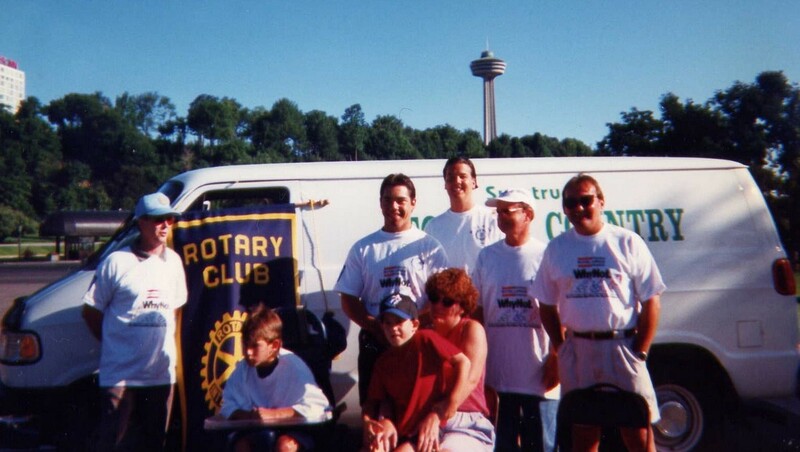 The Rotary Club of Niagara Falls-Sunrise is a member of Rotary International. Rotary International is the world’s first service club organization, with over 1.2 million members in 33,000 clubs worldwide. All Rotary club members are volunteers who work locally, regionally, and internationally to alleviate hunger, improve health and sanitation in developing nations, and promoting peace throughout the world. One of the main objectives of the Rotary Club is to eradicate polio and with each passing day, we are getting closer to our goal. Locally, the Sunrise club supports community and charitable groups including the Greater Niagara General Hospital Foundation, Hospice Niagara, Women’s Place, Heartland Forest, and many others. All money raised from our events goes back into the community and to aid international causes. There is a real sense of camaraderie and purpose that is palpable at every meeting and event that I attend. Members of the club become emotionally invested in the projects to which they devote countless hours of their own personal time. This past June I volunteered at my first RibFest and was astounded by just how much work and planning goes into organizing and running the event. The set-up and teardown are physically demanding tasks but despite the long hours and unpredictable weather, everybody involved left feeling a sense of accomplishment. I attended my first Rotary meeting in April of 2014. 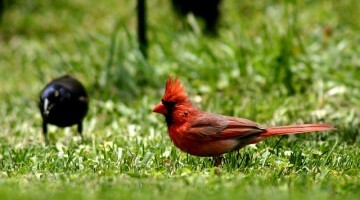 And being the introvert that I am, felt a bit out of place for the first little while. But that’s was more of a personality defect on my part, than it was a reflection on the club. The people that I met couldn’t have been more gracious and welcoming. Rather than pressuring me to be someone that I’m not, everyone allowed for me to gradually get acclimated to the club, my fellow members, and to develop at my own pace. I am truly thankful for the patience and support that they have provided me. Becoming a Rotarian has been a real learning experience for me. It’s given me a greater appreciation for my community and really helped to broaden my worldview. I was also honoured to have been asked to join the Board of Directors a couple of months into my tenure with the club to replace a member who could no longer fulfill his duties. This opportunity has proved to be an invaluable learning experience for me. I have belonged to other clubs and served on other boards but I never felt completely comfortable. Over the years, I’ve developed a bad habit of walking away from things the first time I encounter anything that is difficult or makes me uncomfortable. I didn’t feel that way with the Rotary Club. One of my favourite quotes belongs to comedian Groucho Marx who once mused, “I would never belong to a club that would have me as a member.” And for many years, that’s exactly how I felt. I don’t feel that way anymore. There are MANY reason to join Rotary. Here are 5! When it comes to all of the opportunities and benefits of becoming a Rotarian, I have only just scratched the surface. 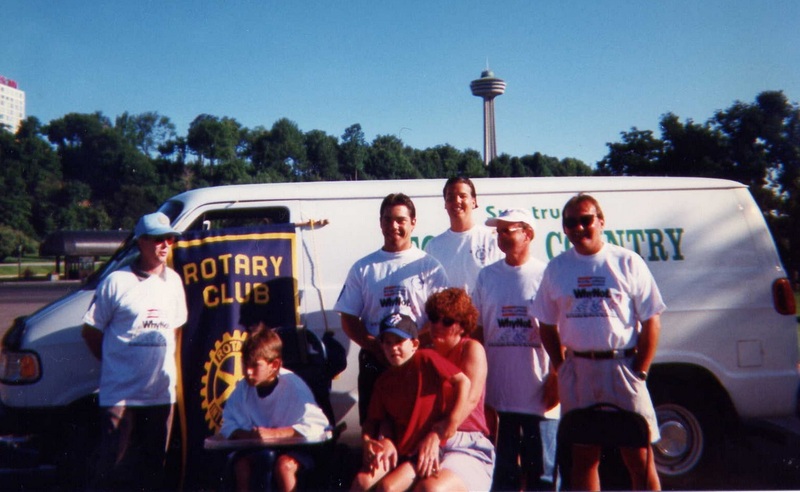 The Rotary Club of Niagara Falls Sunrise is celebrating our 25th Anniversary and we hoping to further showcase the club and all of the work that we do in the community. For more information please visit our website, www.niagarafallsrotary.com. Next post GUY ANNOYS GIRLFRIEND WITH IKEA PUNS IN STORE!